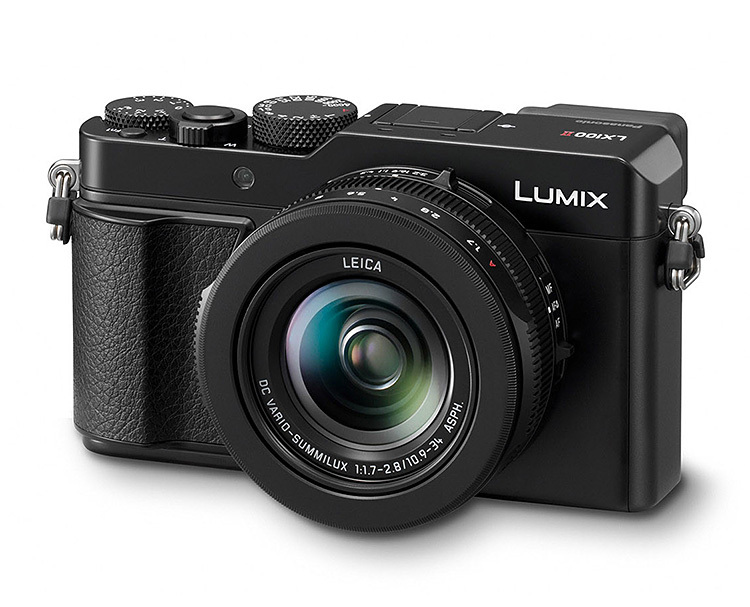 The evolution of Panasonic’s popular Lumix LX100 camera continues with the release of the LX100 II, a compact micro four/thirds system that features a new & upgraded 17-megapixel sensor and a touchscreen that will make adjusting the settings faster & easier. 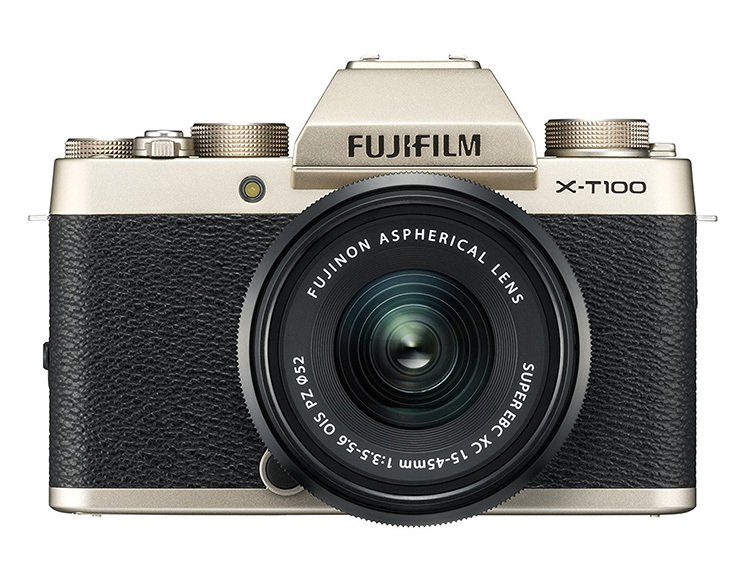 Like the older model, it captures 4K video and comes equipped with a Leica 24-75mm f/1.7-2.8 lens. 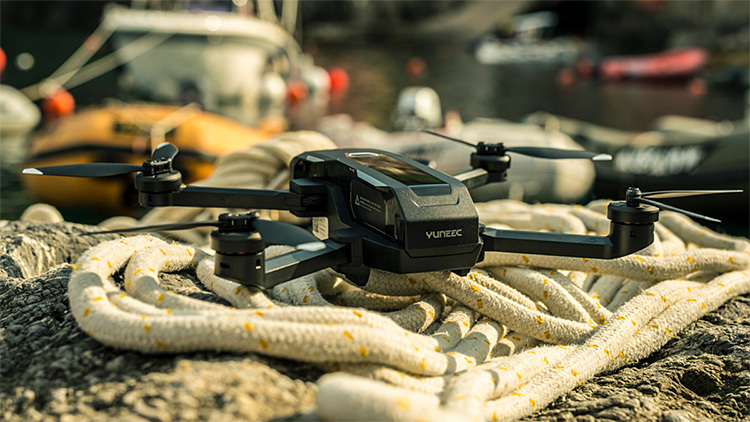 The Mantis Q drone from Yuneec captures 4K & stabilized 1080P video, uses voice commands and features a 33-minute battery. Gesture control and facial detection are also on the list, as well as a tiny, portable controller. It’s got a top-speed of 44mph, weighs less than a pound and it’s designed for easy portability with fold-up arms. The camera also shoots 13-megapixel photos in either JPG or DNG format. 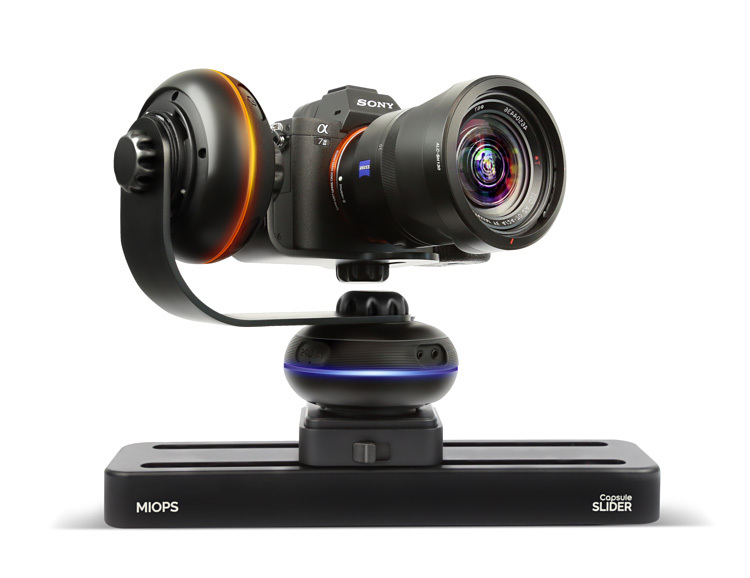 The Capsule360 from MIOPS is a multi-function motion box to move your camera in every possible way and direction. 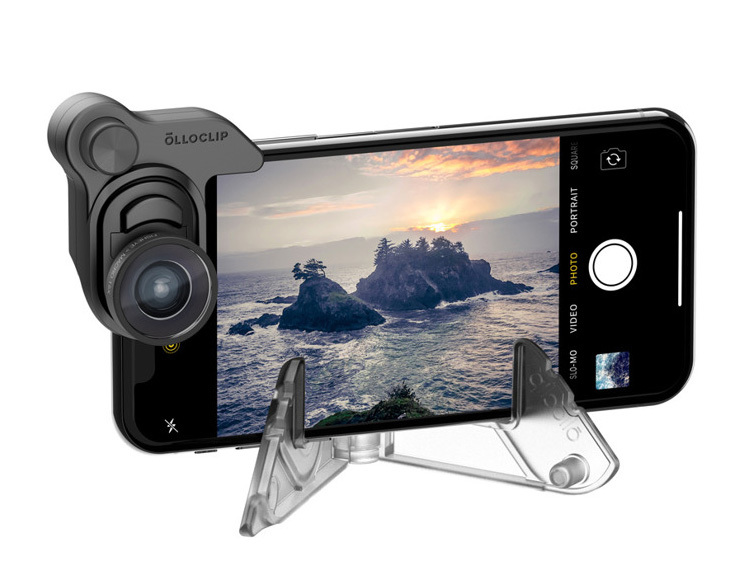 It offers versatile pan, tilt, slide & time lapse to add smooth, cinematic motion to your videos, and it works with every camera—from your phone to a full size DSLR. It can also track you for first-person videos as well as offering automatic star tracking. 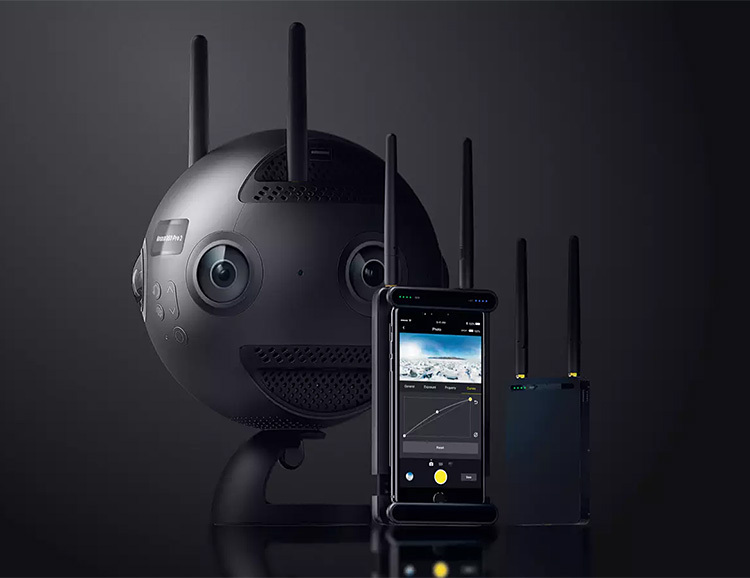 Available accessories include a slider track, gimbal arm, and turntable; all of them controlled wirelessly & intuitively with the Capsule360 app. 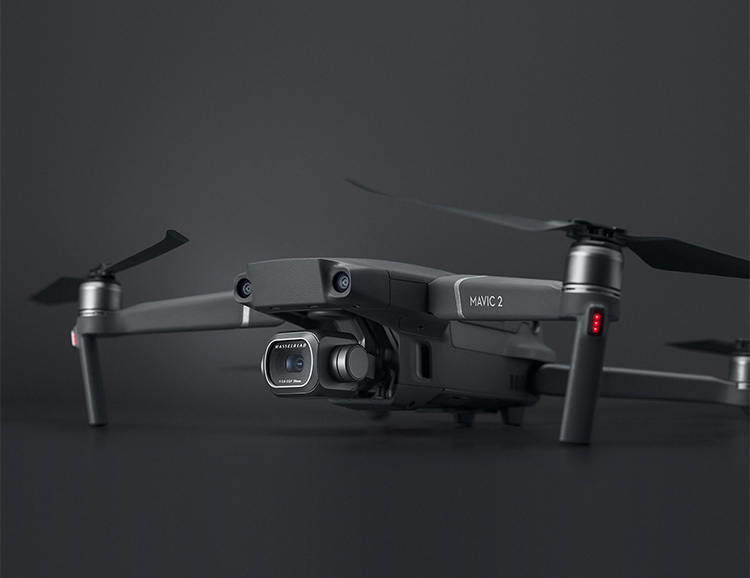 The Mystic Drone uses AI technologies for autonomous flight, 3D Tracking, Intelligent Object Recognition, and gesture interaction, making it the most advanced AI drone available. The complete “set it & forget sky camera” that delivers unrivaled and basically effortless aerial photography and video—its 3D tracking lets the drone follow you autonomously while detecting objects and avoiding obstacles—intelligence similar to that found in self-driving cars. A funded Kickstarter. 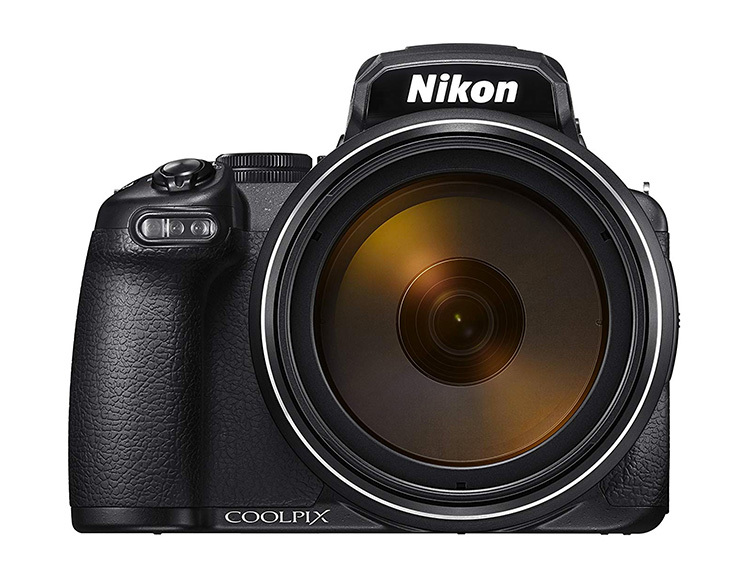 With the introduction of the COOLPIX P1000, Nikon gives you a 3000mm optical zoom, the most powerful zoom lens ever offered in the COOLPIX range. It shoots 4K ultra HD video with HDMI out, stereo sound and has an accessory hot-shoe. 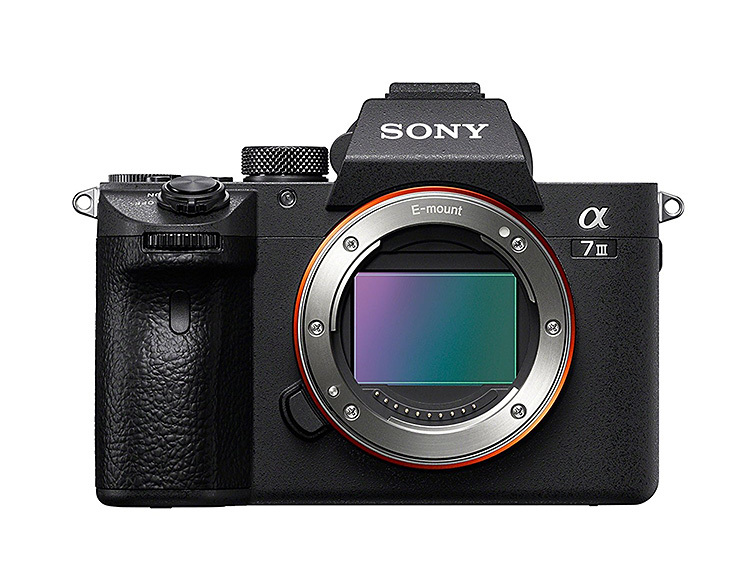 It features rock-steady dual detect image stabilization and great low-light capability as well as raw shooting mode and full manual controls. 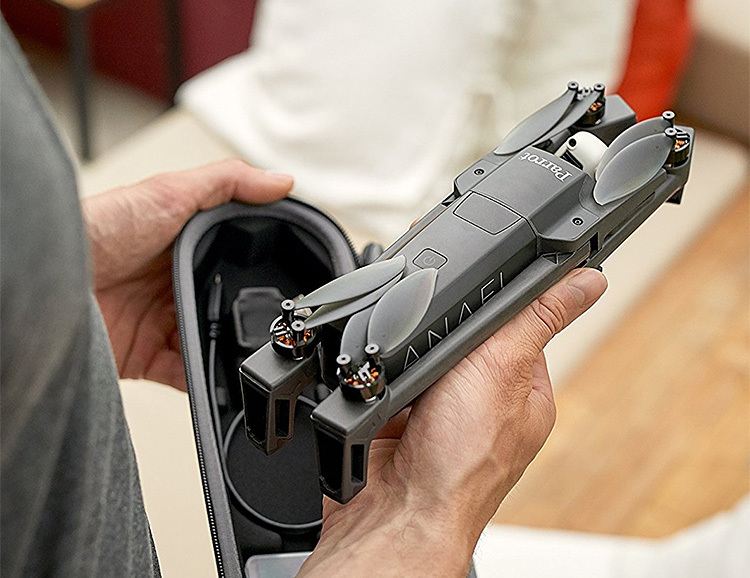 Designed to fold up into a compact package for easy transport, the Anafi drone from Parrot features a 21-megapixel camera on a 180-degree tilt gimbal. It records in 4K HDR at 30 fps or 1080p HDR at up to 60 fps as well as hyper-lapse and slo-mo capability. 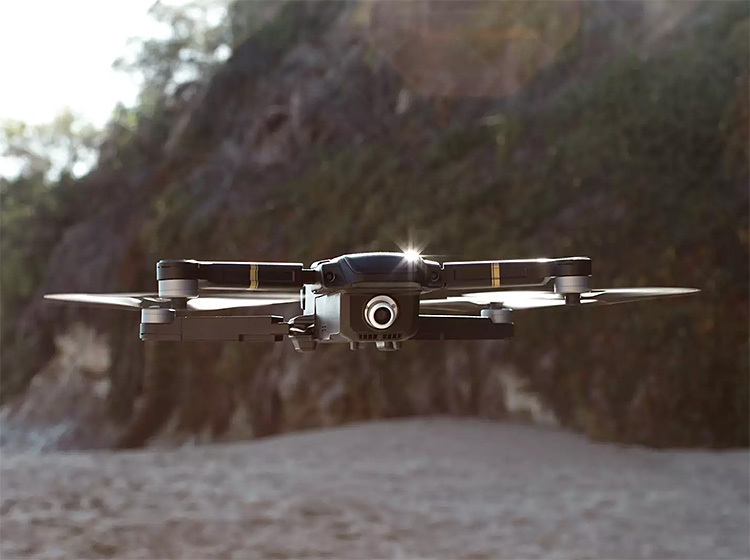 The Anafi also has a follow mode for shooting selfie footage and will fly for up to 25-minutes on a charge at speeds up to 32MPH. 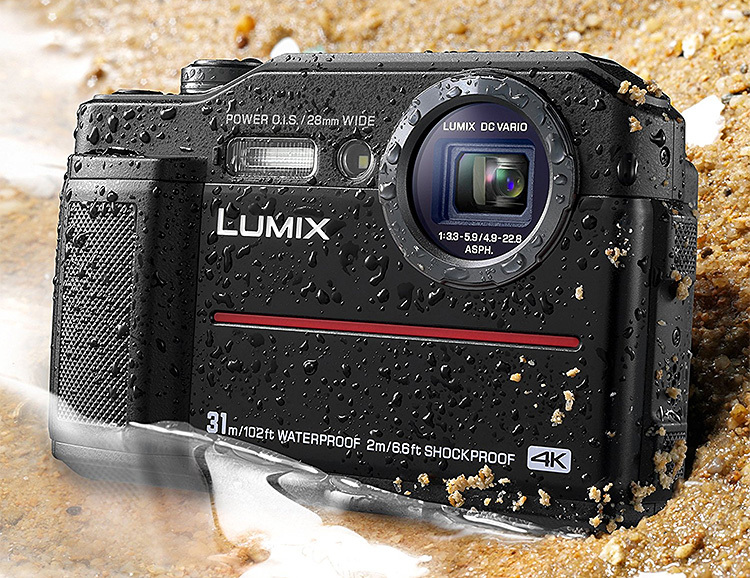 If you’re diving down to depths of more than 100-feet, you’ll want to capture what you see and the Lumix TS7 Waterproof Tough Camera is the perfect companion. 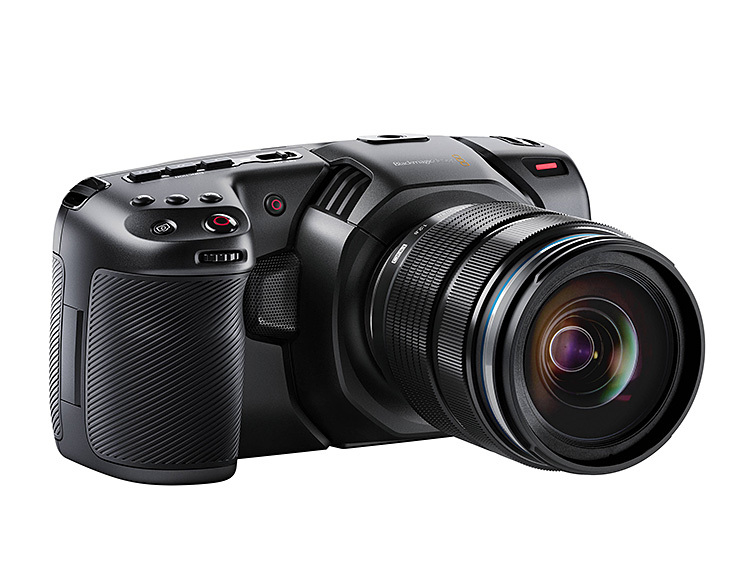 Designed to capture subjects in low light, it features a 20.4 megapixel MOS sensor and records 4K video at 30p. The lens is a 28mm wide-angle with up to 4.6x optical zoom range. It also offers 22 special effects filters, plus panorama, as well as a 4K Photo Mode that allows you to convert 4K video frames into high-res pictures. 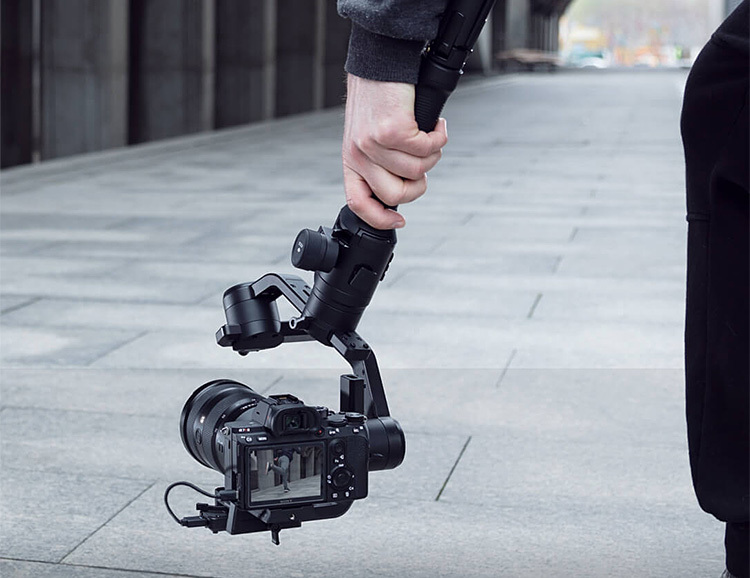 With the ability to support a camera payload up to 8 pounds, the DJI Ronin-S stabilizer is a 3-axis gimbal perfect for stabilizing the most popular DSLR rigs: Canon 1D and 5D, Panasonic GH and Sony Alpha series cameras. The gimbal’s motor is powered by a 4.4-V Intelligent Battery that can run for up to 12 hours on a 2-hour charge. 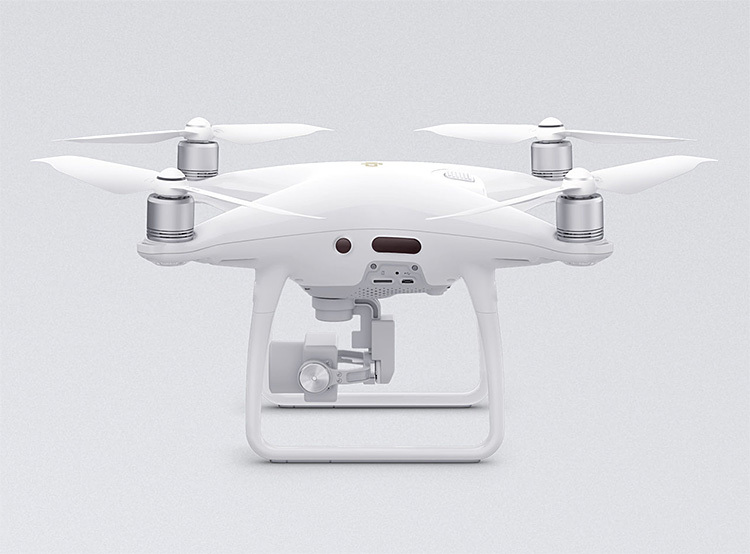 Like the Phantom 4 Pro & Advanced before it, DJI’s newest quad-copter drone, the Phantom 4 Pro V2 features a 1-inch 20MP sensor capable of shooting 4K/60fps & burst mode stills at 14 fps but now is 40% quieter & also features an OcuSync HD transmission system, enabling wireless connection to DJI goggles and supporting automatic dual-frequency band switching. There’s also a new FlightAutonomy system for enhanced obstacle avoidance. OlloClip Lens systems make it easy to create dramatic and cinematic shots with your iPhone. And now they’ve got a new model for your iPhoneX. Choose from a 2X telephoto, 15X macro, super-wide, Ultra-wide, & fisheye. Six years after its debut, Blackmagic Design has completely overhauled & updated their groundbreaking Pocket Cinema Camera. The new model records 4K footage at 60fps in 10-bit ProRes and 12-bit RAW, and with its special windowed HD setting, it can record at up to 120fps. The ISO range has been expanded to 25600 for improved low-light shooting and other key features include a larger 5-inch touch screen and 13 stops of dynamic range. Available later this year. For serious photographers and filmmakers, backing up your files is crucial. 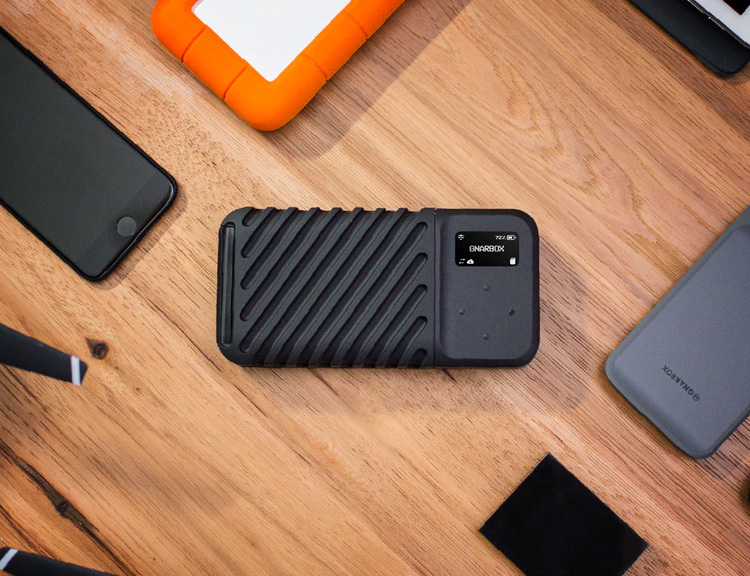 The Gnarbox 2.0 SSD makes this process simple, secure & quick, without the need for a laptop, tablet or phone. With transfer speeds of 75MB/s using the SD card slot or 450MB/s via USB-C, it offers one-touch backup using the on-board OLED screen and gives you access to your preset folder trees for organized backups. 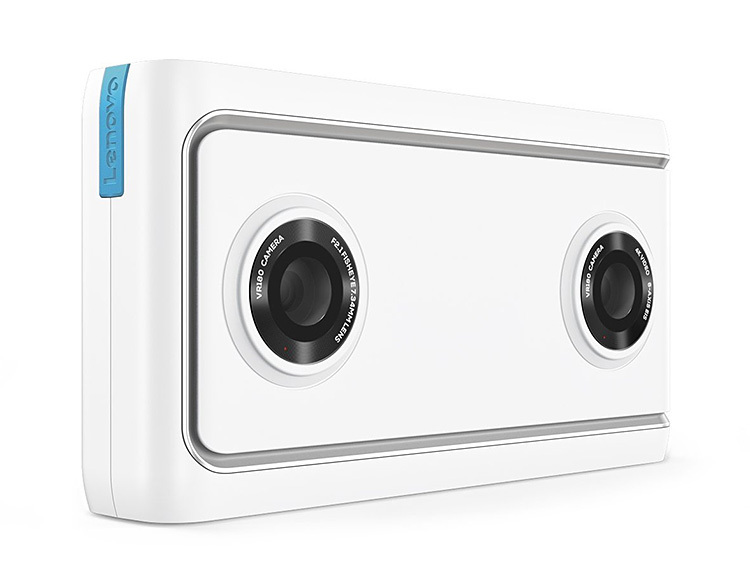 Designed in partnership with Google, the Lenovo Mirage VR180 Camera is a 4K, 180-degree stereoscopic VR camera. 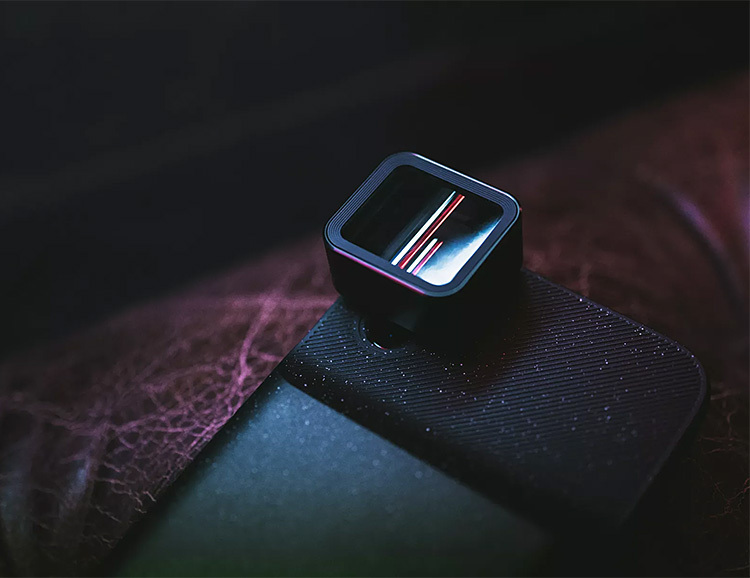 Its compact, flat design makes it a more pocketable point-and-shoot solution to most 360 cameras for capturing VR video and photos. You can also live stream or share your VR footage instantly—all your content can be uploaded to Google Photos and livestreamed on YouTube in VR. Get the VR180 app by Google to turn your phone’s screen into a viewfinder, so you can preview all your photos & videos before you share them. 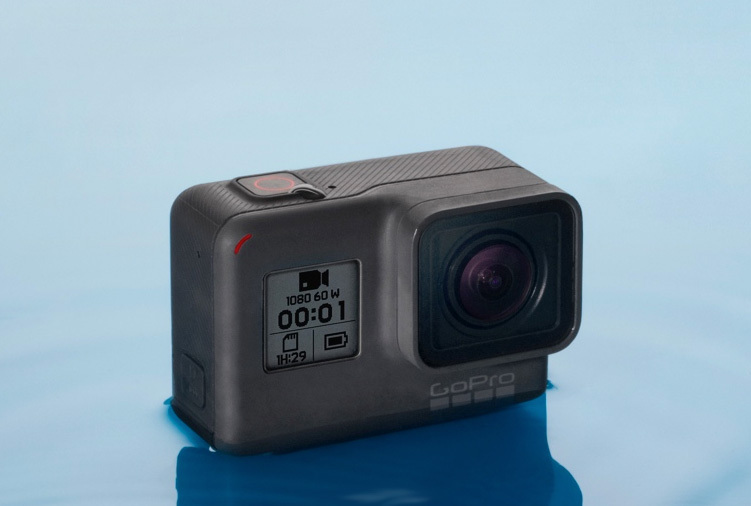 The latest camera from GoPro is a bit simpler than recent models with a price tag that’s much more enticing: just $199. Simply called the Hero, it shoots HD video at 1440p and 1080p at 60 frames per second. It also shoots 10-megapixel stills and has an electronic video stabilization system. There’s a 2-inch touch display, voice controls for starting & stopping recording, it’s waterproof to 10 meters, and is fully compatibility with existing mounting hardware. Designed to work with iPhone, Pixel & Galaxy devices, the Anamorphic Lens will give you Hollywood-style results when filming with your phone. It brings the cinematic look and character of 2:40:1 Cinemascope as well as horizontal flares and a widescreen, letterboxed look to your mobile videos. The system also includes a universal stabilizing gimbal and battery phone case that will make your phone as powerful & versatile as your big camera. A funded Kickstarter. Designed by a team of MIT eggheads and four years in development, Skydio’s R1 pro-grade autonomous quadcopter drone uses advanced AI for its computer vision system, giving users precision flight control without any expertise; it’s so smart, it doesn’t even come with a controller. Rather than GPS stabilization used in most drones, the RI uses 13 onboard cameras to do real-time mapping, path planning, and obstacle avoidance. 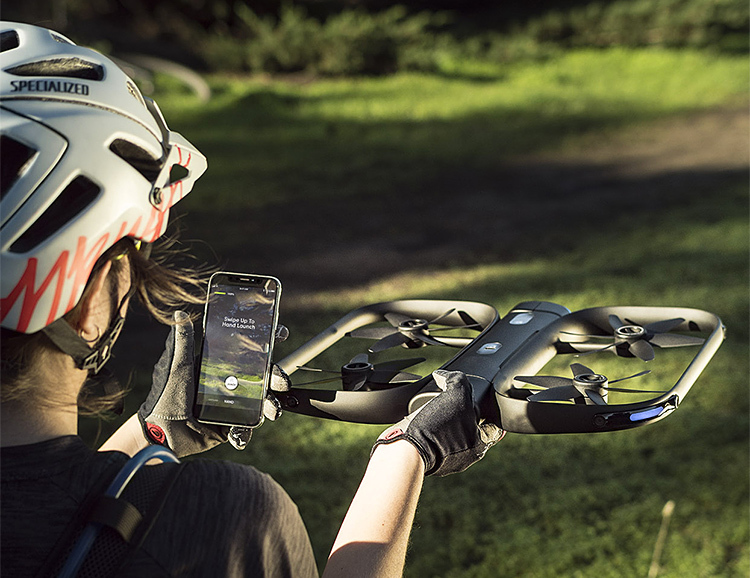 All controls for the drone, including takeoff, landing and manual controls are managed through Skydio’s mobile app.